The Chassé Hotel does not have its own parking facilities. We advise you not to come to our hotel by car as the parking around the hotel is very limited. In addition, it is customary in Amsterdam to pay for parking the car. This can quickly become expensive. The cheapest alternative is to use the P + R scheme offered by the municipality of Amsterdam to the visitors of the city. You park on the outskirts of the city, at a very favorable rate and continue your journey to the city center by public transport. We advise you to use the P + R transferium Sloterdijk. 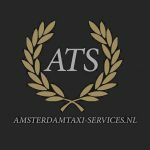 By tram line 13 or 19 you get off at the tram stop Admiraal de Ruijterweg and our hotel is located in Chasséstraat 62-64 (side street of the Admiraal de Ruijterweg).